Werner Erhard and Professor Michael C. Jensen discuss their positive model of integrity that links integrity and personal and corporate performance. The creation of this model reveals a causal link between integrity and increased performance. Through the work of clarifying and defining what integrity is and it’s causal link to performance, this model provides access to increased performance for private individuals, executives, economists, philosophers, policy makers, leaders, legal and government authorities. Werner Erhard speaks at Harvard University Kennedy School Center For Public Leadership on December 14, 2009 on: "Why We Do What We Do: A New Model Providing Actionable Access to the Source of Performance." Werner Erhard's work has become an important resource for academic institutions and a catalyst for creative thinking and teaching in both the academic and corporate environments. 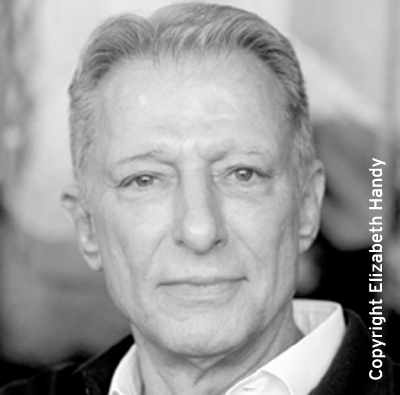 Werner Erhard's work has been noted as a key element in current management thinking and the science of productivity and performance. Now more than forty years since Werner Erhard introduced the breakthrough notion of “transformation” to the American public, Erhard spends most of his time with academic colleagues, all of whom are committed to rigorous academic examination of the ideas through writing and lecturing. Current projects include A New Model of Integrity, The Leadership Course, and a New Paradigm for Performance. "For several years before his latest professional reincarnation, Mr. Erhard consulted for businesses and government agencies like the Russian adult-education program the Znaniye Society and a nonprofit organization supporting clergy in Ireland. "Enter the Harvard economist Michael Jensen. Dr. Jensen, who is famous in financial circles for championing the concepts of shareholder value and executive stock options, had taken a Landmark course in Boston at the suggestion of his daughter, who mended a rocky relationship with Dr. Jensen after taking the course herself. Courtesy of Symon Productions Inc.'s film "Transformation: The Life and Legacy of Werner Erhard"
"Writing academic articles and touring the world’s best universities..."
This website was created by the Friends of Werner Erhard, a group of people who share a common interest in keeping vibrant the ideas of Werner Erhard.